We’re more than a place to workout, we’re a place to belong. Our core values are exceptional service, inspiration and community. We’re whole­ person focused, with a desire to make Kansas City (and the world) a better place by what we do inside and outside the gym walls. Updates provided here for Thanksgiving, Christmas Eve and New Year's Eve hours. Inclement weather alerts will always be posted here, on Facebook, Instagram & Twitter. We are constantly evolving as a facility to ensure that our members receive the latest and greatest information and equipment that the fitness industry has to offer. We are always striving to do more and be more for our members and community. 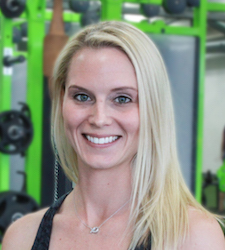 Hailee Bland­Walsh is the Founder and Owner of City Gym. She grew up in Leawood, Kansas, but left at 18 years old. Her soccer talent carried her to the University of Minnesota, as well as North Carolina, where she played professionally, and even to Germany, where she played semi­professionally. When Hailee’s soccer career came to a close, she moved to San Francisco, where her fitness profession began. She honed her craft and business acumen in California for eight years, until her heart led her back to Kansas City to open City Gym in 2011. Since City Gym opened its doors, the membership has grown from zero to 1,000 members, both the facility and many trainers have been voted best in the city, and in 2015, the gym was selected by Google for a national commercial focusing on its inclusivity as a small business. 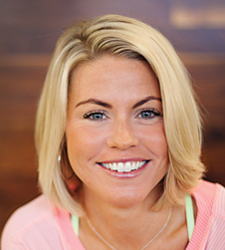 When Hailee isn’t leading SPIN® class, training clients and giving high fives, you can find her using her success as a business owner to educate and motivate other entrepreneurs and leaders. Hailee can be booked for speaking engagements and professional coaching both locally and at a distance. In Hailee’s spare time, she and her wife keep the peace between their three miniature dachshunds and black cat, attend concerts, travel, and spend time with family and friends. Katie serves as the General Manager of City Gym. She oversees the day-to-day operations of the facility and provides supervision and support to the management team. In addition to her internal responsibilities, she is charged with pursuing and vetting external growth opportunities that involve partnerships and off-site programming. Katie has been involved in fitness/sports in some capacity for her entire life. She graduated from Benedictine College with a degree in Sports Management, then began a 20 year career with Johnson County Parks and Recreation. For the majority of her time with that organization, she served as the Executive Director of Kansas City Corporate Challence. In this role she managed the coordination of sporting events for over 200 area businesses and their 30,000 program participants. We are so excited to have Katie on our team. 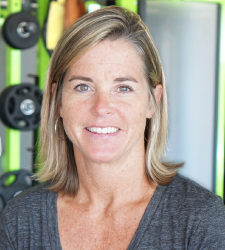 Prior to her hire, she had been one of our most engaged members -- she joined City Gym the day we opened our doors in 2011. She embodies our culture and shares our vision and we know that with her on our team the sky is the limit! In Katie's free time she hangs out with her very cool husband and two children. They are always doing something fun such as attending sporting events and concerts, enjoying the outdoors or spending time with family and friends. A few fun facts about Katie -- she and her son share a birthday and she lives in a home that has been in her family for over 50 years! Tiffany is from West Virginia and moved to Kansas City via Lawrence, Kansas. She received her Master’s Degree from the University of Kansas and worked in Higher Education until she discovered her true passion – advertising and marketing. Tiffany is responsible for all general marketing efforts at City Gym. This includes digital and print marketing strategy and execution, as well as promotional events and programming. Outside the gym, Tiffany and her wife keep the peace between their three miniature dachshunds and black cat, attend concerts, travel, and spend time with family and friends. Josh's role at City Gym includes administrative support, staff training, programming development and implementation for all personal training. This includes supporting our amazing personal training team and their clients along with continuing to train clients of his own. 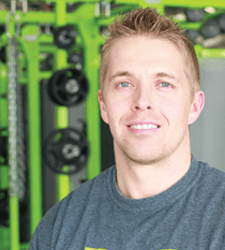 Josh is an Exercise Science major from Kansas State University with nearly 15 years of industry experience. Josh has worked at City Gym since the day it opened seven years ago. 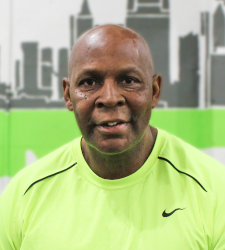 Josh is a brilliant personal trainer who is known for helping his clients achieve their goals while maintaining the highest level of customer satisfaction. We are thrilled to have his incredible leadership and industry experience to lead and support our team of exceptional personal trainers.